What: Smart Foam Insulation Installation Demonstration - in real time on an existing home. When: Friday, Nov. 18, 2011 starting at 9 a.m. The project should take until 3 p.m. You're welcome to stop by anytime. There is no charge for the event but please RSVP by emailing Chuck Lohre or by calling 513-260-9025, if you would like to stop by. 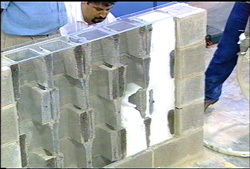 How: The Smart Foam Insulation process injects a non-expanding foam into the lower wall cavity and fills the voids between the concrete block. Watch the video. 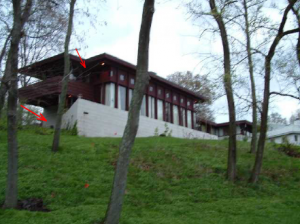 Blue Chip Energy Services will use a thermal imaging camera to trace the 100 degree foam's progress filling the cavity. Perfect for enclosed cavity applications such as stud walls and cathedral ceilings and the retrofit of concrete block walls. Learn more about Smart Foam Insulation: Core Foam Insulation brochure illustrates the residential, schools, churches, large shopping mall, grocery and big box store applications Blue Chip Energy Services will be doing here in the region for new construction. Smart Foam is used for retrofit residential applications. Core Foam is used for new construction. For a fast and competitive quote contact Perry Leitner at Blue Chip Energy Services, Inc., 10939A Reed Hartman Hwy., Cincinnati, OH 45242, 513-351-9463, perryleitner@gmail.com.